Wabbit season, Duck season, HEATING SEASON! 1) ‘Envelope’ Leaks – The gaps around windows and other areas taken together in the average American house equal a 9 square foot hole in the wall. Plugging them can save you 10% of your heating bill. Find the leaks with an incense stick held to the areas you believe to be drafty and watch for the smoke, Or if it’s really cold outside, just run your hands by the suspected areas and you will feel the cold air. Prone areas: Window and door frames. air ducts, chimney flashing, recessed lighting, sill plates,and electric outlets. To fix these leaks buy door sweeps, caulk, caulk gun, or tacky rope and go to work. Apply weather stripping for the outlet gaskets. 2) If the insulation in the attic is not up to the top of the joists, add more… Make sure your attic’s vent stays open to prevent condensation/moisture. 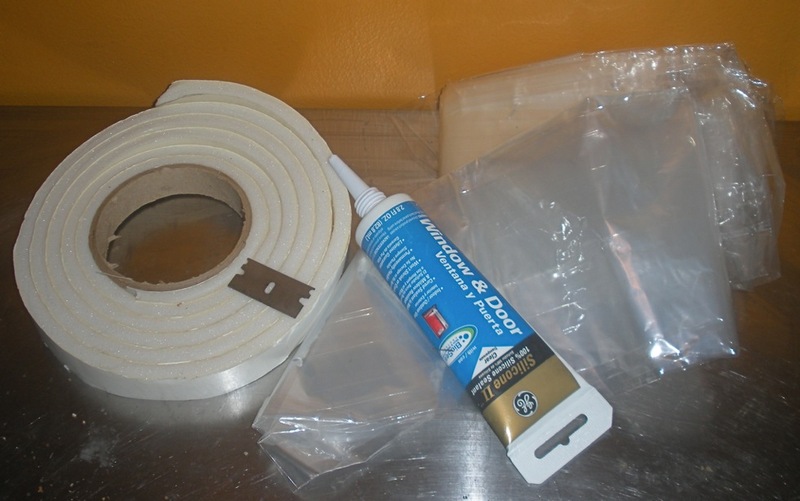 3) Ducts: Make sure the heating ducts are well connected and you’re not losing heat before it even gets to the vents… Use metal back tape instead of duct tape. Make sure the ducts are insulated if they travel thru unheated areas. Swaddle the water heater if it’s in an unheated area. 4) Winterize Windows – After you’ve caulked the frames, if you can’t afford double hung or storm windows, put clear plastic film on those windows for an effective extra layer of insulation. 6) A programmable thermostat costs $50-$100. Program it lower when you’re not home and higher when you are. 7) In your furnace replace easy things like the air filter. 1) Oil fired boilers should be cleaned and tuned annually and gas systems every two years for approximately $100-$125. Gas fired need attention too. 2) Replace appliances, heating units, light fixtures and bulbs with hi efficiency replacements. If your furnace is over 20 yrs old replace it with Energy Star (federal government program promoting energy efficiency). Homeowners who make energy efficient improvements to exisiting homes qualify for a 10% tax credit up to $500. A credit is a dollar for dollar reduction in taxes, compared with a deduction which only decreases taxable income. 3) A decent vinyl window might cost $100-$150 and a double paned window with a good ‘e or r’ rating can cost $50-100 more. This will add up when you have 15 windows, but replacing the twenty year old windows may be the move that cuts into your heating bill most substantially. Windows also usually qualify for a credit or deduction. 5) Tax credits and other financial incentives also exist for changing to solar water heating and photovoltaic equipment. Solar for pools and hot tubs do not qualify.